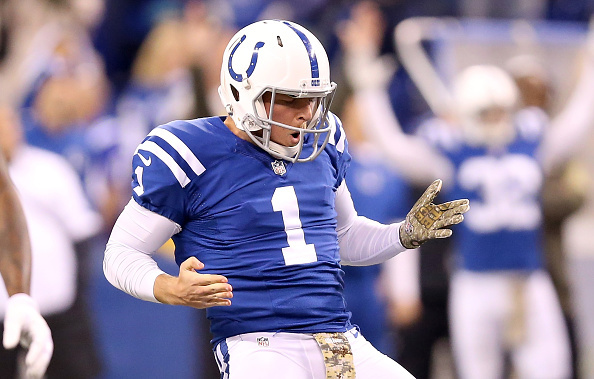 If you watched any Indianapolis Colts game when Pat McAfee was in the league, then you’d know just how much he loved wrestling as he incorporated it into his post-kick celebration. The former punter has now taken that love for imitating his favorite wrestlers to actually being one when he officially signed on with the WWE. McAfee, who played in the NFL for eight years as a member of the Indianapolis Colts, retired after the 2016 season and pivoted to broadcasting. McAfee most recently appeared as a sideline reporter for FOX NFL sports in late 2018, but he’s been very vocal about his longstanding dream to work in sports-entertainment — even notoriously incorporating WWE-centric taunts into his game in the NFL. An interaction with Adam Cole at an NXT Live Event put him on Michael Cole’s radar, which started the process that inevitably brought him here.